I would say, even if it is a jam focus on design, that the game could benefit from different animations when the avatar is on the ground or floating because I thought for a moment that the avatar staying in the air was a bug as I was expecting a gameplay similar to VVVVVV. So a different animation/sprite when we are on the floor or floating could help the player to understand more intuitively that, even if it touch the ceiling he can not "jump back" and that staying in the air instead of continually going up is a feature and not a bug. As for the suggestions, I think it could be nice to add some challenges when you backtrack the level as I thought it was an interesting part of the game that could more exploited. Also, if you want to make more level, It could be interesting to add some "puzzle" level where you have to switch the gravity on and off to solve it ! It is a nice game with a simple mechanic but a very pleasant level design. And at the end, between the final boss where it looks like you play a breakout where you control the ball, the very funny narration and the fact that you can backtrack the level with the gravity on, the game truly become excellent ! Very well done ! The game is very pleasant to play ! It is simple but the concept of delivery is nice and it has good controls and very pretty graphics. Of course, it is very short and easy so the player do not have the time to really enjoy the gameplay but it only lack of some challenging levels and some music and sounds to become a funny little game ! It is a very good parody where the comic effects of the gameplay succeed to be very funny ! With a easier difficulty, it could even offer an interesting challenge as it as some nice idea like the fact that you see in front of you and give and order in the same time or that you have to write quickly some words to avoid an accident. As it is, the game is may be too difficult to let the player fully enjoy this features but they are still very interesting ! I still did not decide if this game is a method of relaxation or a method of psychological torture but it was fun to play anyway. The fact that you have to take care to not create an accident with the others car/tree make it very nice and funny ! Also, we definitely need this law the ban the tree near the highway ( and a law to ban the yellow car form the earth) ! It is done, I left you a comment ! Thanks for playing mine. Thank you very much for your comment ! I am really glad you appreciated the originality in the core mechanic as the originality is my first motivation when I make a game and only after that I tried to add a good feeling to the game to embellish this mechanic. I was also annoyed by the time the text take to be removed/rewrite when developing the game ^^, so I will definitely add the feature that you describe if I release a post-jam version. Thank you for your feedback ! I will try to release a little more friendly version. I only use the java library version of Processing that is a very basic tool for displaying image/text and geometric forms. Thank you very much for this nice comment ! I am glad you succeed to finish the game even if it can be a little daunting sometimes ! Some level was very but I played it until the end so we can say that they also was very fun ! Even if it is only square, I really liked the graphics (with the green particles when the green square rebound) and the sounds. Which music did you used ? Thank you very much for your comment ! At first I wanted to make an interface that allow the player to choose more quickly the part that he wants to rewrite as you describe, but then I understand that I would not have the time to do that so I choose an easier and quicker to do option ^^ But I am agree with you, it is very tedious as it is and need some improvement. Interesting idea well executed ! The graphics and sound are good enough. I liked how removing the shooting mechanism transform an action game in a game more focus on the ambiance ! There are also some very nice details like the number of weapons that the army use or the fact that you can continue to see the battle even if you die. It add to the immersion. In the negative points, I would say that you can too easily survive if you just run in circle so I thinks that it needs a much higher difficulty/others mechanisms that force the player to have a more various behavior. I really liked the idea as it is not only a funny parody but it also allow an interesting gameplay ! The retro graphics are good and the dialogue well written. In the negative point, I found the rhythm a little slow as there is a lot to read and the "waves" take a little time. Good job ! Thank you for your feedback ! There is way to finish the game but it is a little tricky. The gameplay is a little rough (it move really fast and lack of feedback) but this a very cool idea ! The mechanics allows the game to be both tactical and fast, and also to have several attacks with simple control, that is very interesting ! If I understand correctly, you play a red rectangle (that is very brave) that have to fight with other purple rectangles (that are very evil). The rectangles become circles when they are out of the screen. This tree rectangles are in free fall and are going to crush on the ground whatever the outcome of the fight. If this is the case, this is a very good idea ! The main problem is the camera and the absence of feedback. 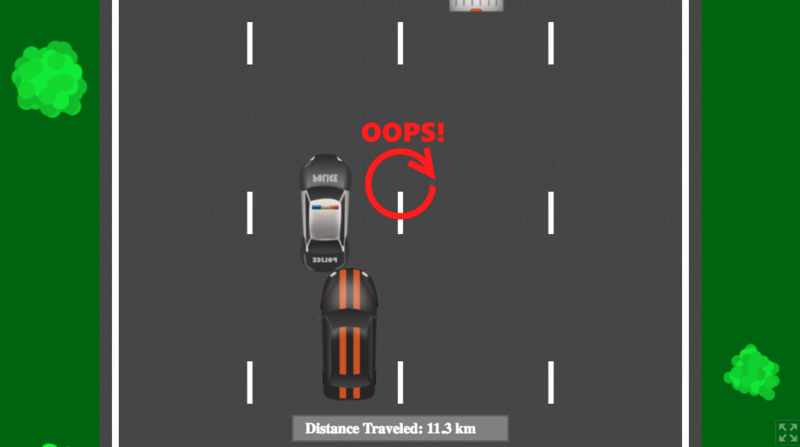 The velocity is too important and our rectangle quickly go out of the screen and then it seems to the player that he can not control it anymore. We end up with the 3 rectangles out of the screen without knowing what to do. Good job for making the engine from scratch ! It may be not the smartest idea to have a polish game but it is a good idea to learn and make more personal games. 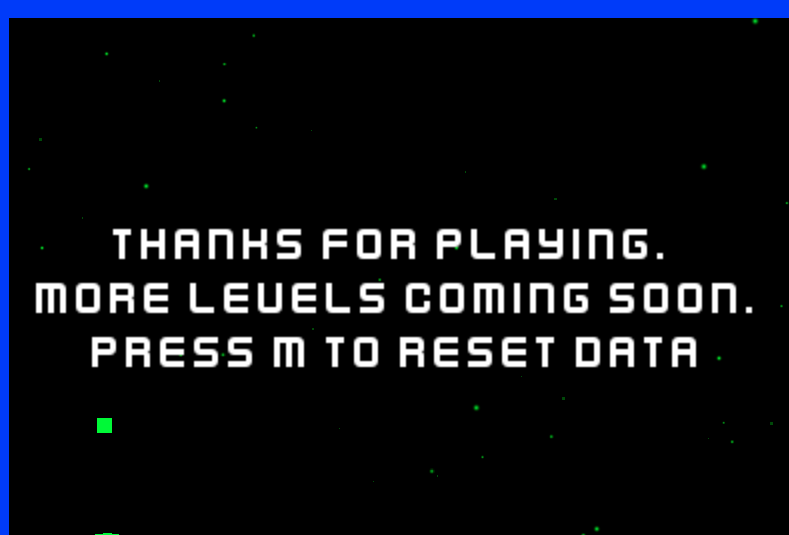 I dit not found the last level too difficult because I had time before it to learn the mechanic. It is more the seconde level with the spikes (the one that repeats itself) that I have found very difficult and hesitate to abandon. For a game submitted 27 seconds before the deadline, it works well ! The level are are little empty and the controls a little rough but it is still fun to play. The idea is grisly and well found ! It lacks may be some mechanics links to this idea, like a health bar that you have to empty for example, for the gameplay to be really original. Congratulation for your first game jam ! The game was fun to play ! 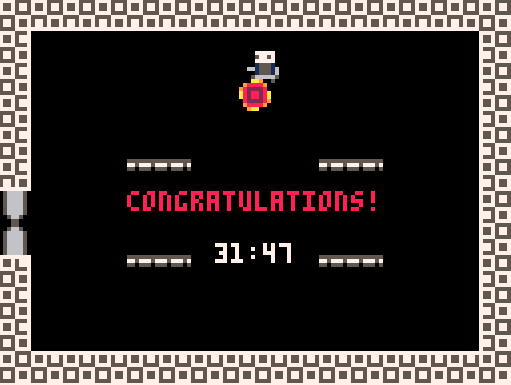 It is may be a little too hard at first and may be it needs intermediate difficulty levels between the second and the third level but I still managed to finish it and it was challenging to learn to drive the ball with parsimony to avoid the spikes without wasting paint. The simple graphics are good enough but it lacks music and sound effects even if the paint particles effect add a nice feedback to the controls. I also used java for my game ! Which graphic library did you use ? Merci d'avoir pris le temps d'écrire un long commentaire ! Tes remarques sont intéressante, je vais m'empresser de changer le point de focus de la loupe. Désolé pour la musique répétitive ^^ Je n'ai absolument aucune expérience en composition musicale mais comme j'aime bien l'idée de faire un jeu entièrement seul, je m'entête à bidouiller un fond sonore en quelques minutes entre deux lignes de code ^^ Je réfléchirai à ajouter une ligne directrice un peu plus précise au jeu. Même si personnellement je souhaite qu'elle ne soit pas trop intrusive pour garder le côté bac-à-sable, je me rends compte que c'est un minimum nécessaire pour accrocher le joueur sur des périodes un peu plus longues. Je suis content de trouver un autre connaisseur de Processing ! Je n'ai moi non plus jamais joué à d'autres jeux qui l'utilisent. Comme je suis programmeur à la base, j'essaye de passer le plus de temps possible à coder plutôt qu'à créer des assets et je trouve Processing assez pratique pour faire des graphiques procéduraux ! Merci pour ton commentaire ! Ca pourrait effectivement être sympa un ambiance musicale qui change en fonction du temps. J'avais essayé de rajouter un bruit de pluie quand il pleut mais ça rendait pas très bien donc je l'ai enlevé. Mais si c'est une ambiance musicale, ça peut rendre bien ! Merci d'avoir pris mon jeu pour ta video, c'est sympa de voir son travail sur youtube et tu présente bien les jeux que tu as sélectionnés ! Je suis tout à fait d'accord avec toi sur les besoins trop permissifs des plantes. Pour la période de test, j'ai préféré donner une version trop facile plutôt que l'inverse pour que les testeurs (qui teste parfois parfois de nombreux jeux et n'ont pas forcément trop de temps à passer sur un seul jeu) puissent à peu près voir les différentes fonctionnalités sans être bloqué mais ce sera surement une des premières choses que je vais changer après la période de test. Idée original et amusante ! Le concept de jeu de construction en temps limitée marche plutôt bien. Comme déjà souligné par commentaires, les sessions sont un peu courtes et il manque surtout un indicateur permettant de mieux comprendre ce que le jeu nous demande de faire (est-ce que on doit juste remplacer les éléments cassés ou aussi rajouter des éléments de décoration, est ce que le jeu vérifie si tous l'ensemble de la maison est bien fermé par des murs, pareil pour les pièces à l'intérieur...). Jeu très mignon est très agréable à joueur. Il y a un soucis du détail qui rend le jeu attrayant (la fumée derrière la balle, la musique et les sons, les smiley content qui se transforme en smiley pas content quand les blocs tombent ^^). Parmi les petits soucis que j'ai notés, il y a le fait qu'une fois qu'on a attrapé un bonus pour agrandir la balle/le pad, ce bonus semble perdurer et du coup hormis le tir, la plupart des bonus m'ont semblé inutiles durant la suite de la partie (ou alors c'est que leur durée d'effet dure trop longtemps). Aussi, même si les mécaniques des 3 jeux sont présent, on tout de même surtout l'impression de jouer à un casse brique classique. Les cases descendant assez lentement, on ne ressent pas trop le côté "invasion" de space invaders et le joueur n'ayant pas de contrôle sur les couleurs des cases, il ne s'en préoccupe pas trop. Je pense que c'est peut être facilement corrigé, par exemple, pourquoi pas avec des briques qui tirent des missiles pour le coté space invaders et un bonus qui permet de tirer des missiles qui changent la couleur d'une brique pour le côté puzzle bobble . Le gameplay est simple à comprendre et addictif, j'avais du mal à m'arrêter ^^ Le seul bémol est qu'après quelques parties, le jeu devient un peu trop simple. Si au début on perd souvent, dans ma dernière partie, j'étais à plus de 2000 points et j'avais un l'impression de pouvoir continuer indéfiniment sans vraiment être mis en danger par le jeu. Je pense qu'il lui manque juste une difficulté augmentant progressivement et peut-être sauvegarder les score et afficher le best score à battre durant une partie pour motiver le joueur ! Merci pour ton retour ! Le lien avec le thème est effectivement l'utilisation d'une interface classique et vieillotte d' un logiciel de dessin dans laquelle se joue une simulation plus original. Merci pour ton retour et désolé pour le lag ^^ Le jeu est effectivement très mal optimisé. Ca dépend aussi du navigateur que tu utilises. Chez moi, ça passe à peu prés sur chrome, c'est fluide sur Firefox (pour la version corrigé en description), ça rame sur safari et j'ai pas pu tester sur IE/Edge.